All Sarah has ever wanted was a simple life. However, destiny did not decide it to be that way. Thrust into one of the worst governments in human history, and cursed with a Jewish bloodline that marks her for death, Sarah must infiltrate a top boarding school for Nazi generals’ children. With her life in danger, and having already survived The Night of Broken Glass, Sarah has been fortunate so far. But will her luck really hold up this time? Or, is she destined to become another statistic? 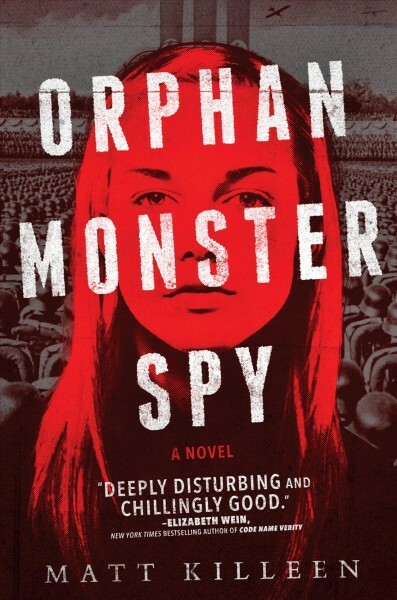 Orphan Monster Spy is truly a work of art. It is a story of passion and courage told from the voice of a young girl who has no choice but to fight to survive. Her gut-wrenching story of dedication and sacrifice is only possible from an underprivileged minority such as herself, and it is through this perspective that a beautiful story is told. The story that is told here cannot be restated enough, and it is absolutely commendable that Matt Killeen is bringing to life a horror that the world should never forget. A book such as this I cannot recommend enough. The story that lives on is unapologetically honest about the horrors of the Second World War.